Words Are Like Feathers. Once They Fly Out, It’s Impossible to Put Them Back In. People lie. For different reasons, but people lie. Especially emotional people. People who are angry, or vengeful, or just feel wronged. Think — people going through a heated divorce. When angry, false claims stay inside the privacy of homes, the lies can be easily withdrawn, forgiven, maybe even forgotten. But what about false accusations made in public? Can they ever really be undone? In Yiddish folklore, there is a story about a lady who would make false accusations. She never understood the implications of her words until the wise elder of her village figured out how to demonstrate it to her. He told her to get a feather pillow, cut the top off, and run around town with it. As she did that, the feathers flew up and scrambled around the town. The wise elder then told her to collect all of the feathers that flew away and put them back in the pillow. She tried all day and all night, but she couldn’t. It was an impossible task, she told him. Maybe now you will understand, he explained, for you see, your words are like those feathers. Once they get out, it’s impossible to put them back in. So when you go around town talking, be careful with your feathers. In reality and in folklore, feathers can never be fully collected once they fly out. We see this time and time again. A prime example are the feathers released by the ex-wife of Andy Puzder. 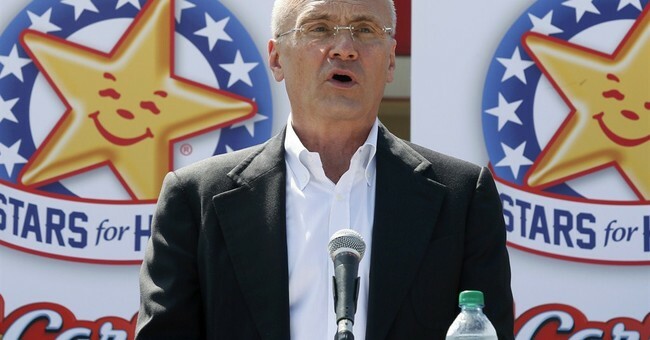 Andy Puzder was going through a divorce in the 1980s. To get more out of it, his ex-wife Lisa made up a lie — that Andy assaulted her. She even went on Oprah with the story. She brought her pillow to national TV and she let out all of her feathers. Then, just a few months later, she wanted to take it back. Lisa apologized to Andy and she was hopeful that it was all over. But the feathers. The feathers were out there. Lisa tried collecting her feathers. In 1990, 1991, 2016, and 2017 she wrote letters, explaining that she lied and that she wanted to take it back. She explained that she did it during divorce, that she went on TV because it made her feel important. But now she felt sorry for lying, and she wanted her feathers back in her pillow. Lisa’s feathers could never be collected. When Andy was being considered for the position of U.S. Secretary of Labor, the feathers came flying in with the winds of the left. He was now falsely accused of assaulting Lisa by people who didn’t know either of them. It didn’t matter to them that Lisa said she lied. What mattered to them was that she made the allegation in the first place. They started throwing stones. Andy was a monster, they claimed. All because of those feathers. Lisa was devastated. She was running around town trying to put her feathers back in her pillow, but it proved to be an impossible task. Andy forgave her. They tried to collect the feathers together. But once they catch wind, those feathers are unstoppable. Both Andy and Lisa are still chasing those feathers today. They will never be able to rest. The lesson is this: false accusations cause irreparable harm. Think twice, even thrice, before releasing your feathers. Because once you do, you may never be able to collect those feathers.